The Beijing International Automotive Exhibition is a barometer of the state of the world’s biggest passenger-vehicle market. New cars are launched, startups vie for attention against their multinational rivals. This year’s show is significant for some key reasons: China is beginning to open up its auto market after two decades of restrictions on how much foreigners can own in local car ventures; electric vehicles are beginning to gain steam; and there’s the looming threat of a trade war. Bloomberg News captured the pulse of the show throughout the main press day. Updated as of 8:27 p.m. in Beijing. Porsche may have built its race-car reputation on two-seaters like the 911, but it’s been SUVs like the Cayenne that have made China the top market for the German luxury car maker. Now sales of the smaller cars are starting to take off too. While there’s no room for the chauffeur, “demand for our two-door sports cars, the 718 Cayman and Boxster, is developing extremely well,” according to head of sales Detlev von Platen. From ultra-luxury to sleek and speedy, it was all there. A plethora of electric SUVs, some startlingly striking grills and a particularly interesting paint job are among the exhibits. The race to an all-electric future is more evident than ever, as startups take on their multinational rivals in a bid to attract eyeballs. China FAW Group Corp., the carmaker that developed the Hongqi, or Red Flag, limousine for Chairman Mao Zedong six decades ago, unveiled the E-Jing GT electric sports car concept at the show Wednesday. 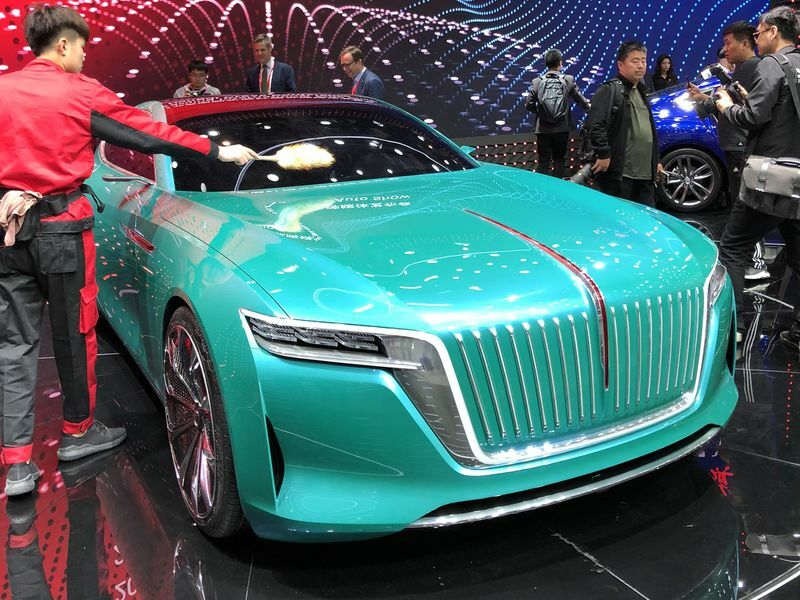 The sleek, two-door model was presented in a turquoise-green hue the carmaker calls Kanas Green — a name apparently inspired by the Kanas Lake area in China’s northwestern Xinjiang province. E-Jing GT electric sports car concept. Months after calling off a planned partnership with Tata Motors Ltd., Volkswagen AGsignaled it hasn’t shut the door on a tie-up with the Indian automaker as it works on a strategy to bring budget cars to millions of cost-conscious buyers. Volkswagen, which has been long considering making affordable models for India, will decide on its game plan in the first half of this year, said Bernhard Maier, chief executive officer of Skoda Auto AS, part of the VW group. Just as China’s trade relations with the U.S. are at their worst in years, BMW AG is laying the groundwork to start exporting from its biggest market to buyers around the world including North America. 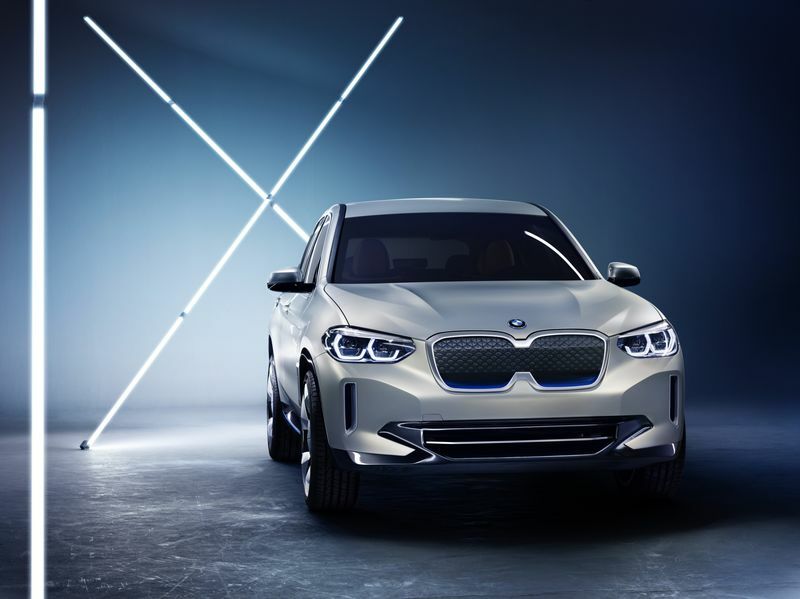 The carmaker plans to begin producing its first all-electric sport utility vehicle, dubbed the iX3, in 2020 at its joint venture in China and will sell the model abroad, according to partner Brilliance China Automotive Holdings Ltd. 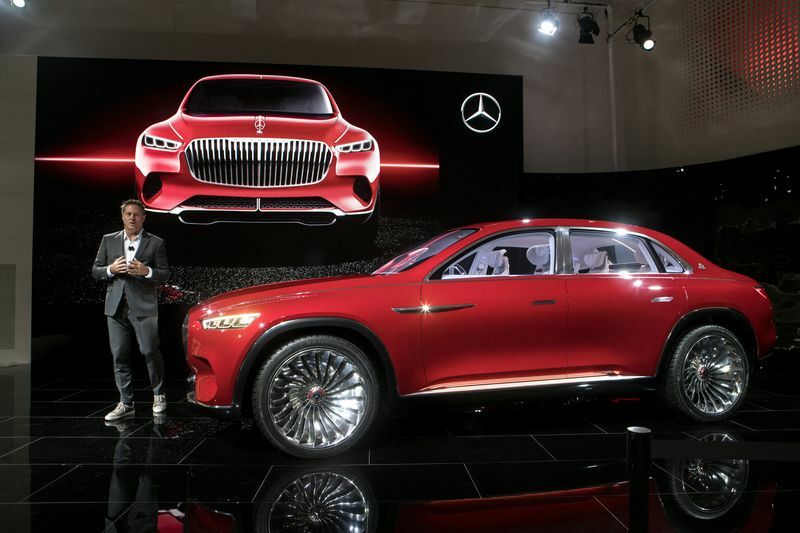 The concept was unveiled Wednesday in Beijing. BMW Concept iX3 electric car. The Tesla stand at the Beijing auto show. 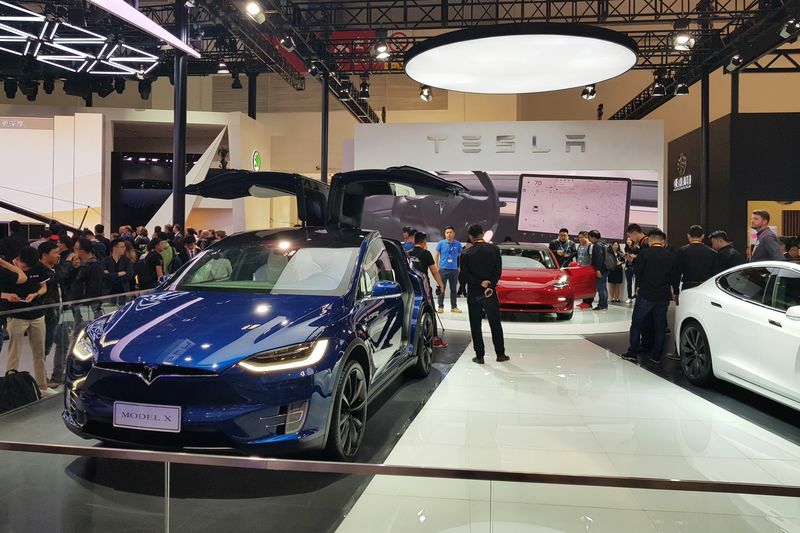 No media conference, no product launches, no appearance by Elon Musk — yet Tesla Inc. attracted much of the attention as China’s biggest car show kicked off. The carmaker is participating in the Beijing auto show for the first time and surely a crowd gathered around a blue Model X, red Model 3 and white Model S. Tesla doesn’t manufacture in China, yet. The carmaker is widely seen as a beneficiary of the rule changes coming on joint venture partnerships. While automobiles currently have a lot of driver assistance built in, they don’t offer fully autonomous-drive features, Jaguar Land Rover Chief Executive Officer Ralf Speth says. Governments, researchers and the industry need to collaborate across sectors to develop a safe technology. The company, which is teaming up with Waymo to develop autonomous vehicles, is testing the technology predominantly in the U.K. and sharpening efforts to make the roads safer with such cars. To conquer the world’s largest electric-vehicle market, Japan’s car giants are starting by playing it safe. Instead of betting on new models to lure Chinese customers, Nissan Motor Co., Toyota Motor Corp. and Honda Motor Co. are slapping electric motors on cars that are already doing well as gasoline versions. These include Nissan’s Sylphy sedan, and a plug-in version of Toyota’s long-time hit Corolla. The founder of Chinese startup Qiantu Motor is jostling for a slice of the world’s biggest electric-vehicle market, and says the race for leadership in the industry has barely started. The company is set to kick off sales of its 700,000 yuan ($111,000) K50 sports car in July. The battery-powered model accelerates from zero to 100 kilometers in 4.6 seconds and can reach a maximum speed of 200 kilometers per hour (124 mph). It has a range of 365 kilometers on a single charge. Qiantu K50 concept electric car. Sedans are dead, you thought? Think again. Whoever proclaimed the death of the sedan forgot to tell Chinese Lexus buyers. Toyota’s premium brand is launching the seventh generation of its mid-sized ES saloon into a market where sales of the model have almost doubled over the past two years. Maybach was the first off the blocks, extending the ultra-luxury badge with a crossover, compete with a porcelain tea service embedded in a heatable ebony-wood tray. 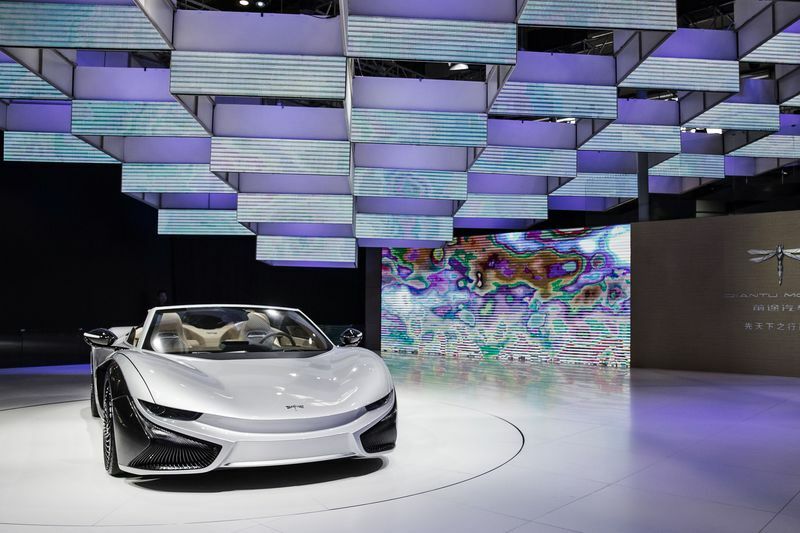 Aimed squarely at any billionaires perusing the Beijing show’s offerings this week, the concept model includes optional white nappa-leather lie-flat seats with massage and aroma-therapy functions. Mercedes isn’t commenting on when it’ll decide on offering the vehicle. Vision Mercedes-Maybach Ultimate Luxury car. VW is shifting into overdrive, bolstered by spending at its Chinese joint ventures as the German carmaker seeks an edge in producing electric, self-driving autos. The partnerships’ technology investments in the next five years will total 15 billion euros ($18 billion), Jochem Heizmann, head of Volkswagen’s business in China, said Tuesday at a new-model presentation in Beijing. Chinese billionaire Li Shufu has catapulted from founding his Geely Group as a refrigerator maker in the 1980s to owning Volvo Cars, British sports carmaker Lotus, London Black Cabs and the largest stake in Daimler AG — the inventor of the automobile. Now he is spearheading China’s aspirations to wedge itself among the big three of the global car industry — the U.S., Germany and Japan — so they become the Big Four.